Luis Barrantes Quesada slices a pineapple on a Costa Rica farm owned by his company, Del Valle Verde Corp. He says the fruit is organic, but Costa Rican lawmakers found otherwise. They have asked the country’s attorney general to determine whether Barrantes, fruit certifiers and officials committed fraud. How do you know whether food certified by the U.S. Department of Agriculture is actually organic? You don’t, according to Costa Rican lawmakers who investigated bogus organic pineapple exports to the United States. A Costa Rican congressional committee says American consumers paid premium prices for more than $6 million in pineapples sold as organic but grown with banned chemicals. The findings confirmed NerdWallet’s own investigation into the pineapple scheme last year and flaws it revealed in the USDA organics labeling process. NerdWallet reported conflicts of interest and mismanagement in USDA regulation of the $43 billion U.S. organics industry. A report by the Costa Rican legislators blasted one particular pineapple producer and two companies that certified the exports as organic, accusing one of them of colluding with the producer and lying during sworn public testimony. Lawmakers forwarded their findings to Costa Rican prosecutors for possible criminal action against a representative of the certification companies and against the country’s former agriculture minister, Luis Felipe Arauz Cavallini. The legislators’ findings undermine USDA officials’ assertions that they are eradicating fraud, leaving U.S. consumers in doubt about “organic” food often sold at twice regular prices. Under the USDA system, the agency approves various companies around the world to inspect, monitor and certify whether foods bound for U.S. consumers are produced according to organic standards. The agency announced recently that it would crack down on fraudulent imports by tracing imports electronically and would increase training of certifiers. USDA managers defend their certification process, even as U.S. farmers disenchanted with the agency roll out an alternate organic seal. An agency spokesman sidestepped NerdWallet’s questions concerning USDA failings and the Costa Rica case, instead saying consumers show confidence in the official seal. “The continued double-digit growth in organic sales is a strong indicator of the trust American households have in the USDA organic seal,” David Glasgow, USDA agricultural marketing service public affairs director, wrote in an email. Glasgow has declined NerdWallet’s requests for nine months to interview Betsy Rakola, USDA organics enforcement chief, and other National Organic Program officials. Rakola closed the Costa Rica pineapple case last summer. 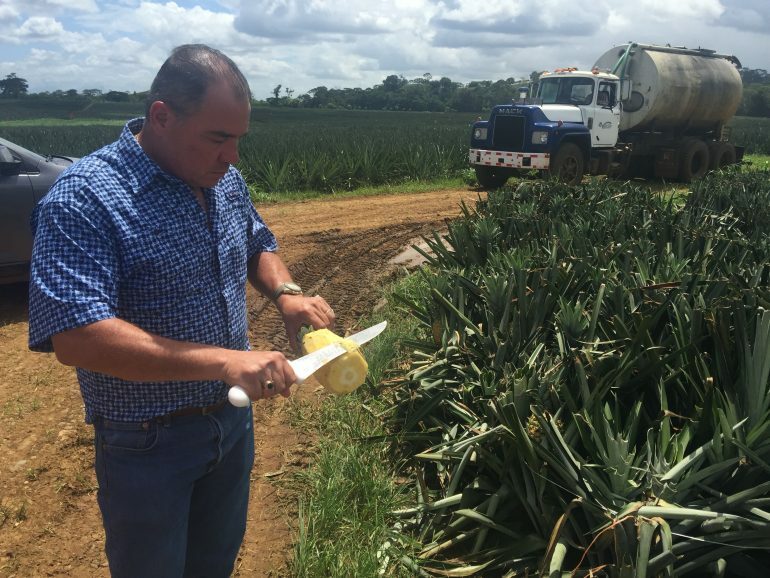 The two certifiers criticized in the legislators’ report — PrimusLabs, of California, and Kiwa BCS Oko-Garantie GmbH, of Germany — approved production of Costa Rican pineapples allegedly grown with chemicals forbidden in organics. Humberto Gonzalez Guerrero, who certified Costa Verde-brand pineapples as organic for the U.S. Department of Agriculture, is accused of lying during sworn testimony to lawmakers, a charge he denies. The congressional committee found that Primus violated USDA regulations by certifying farms run by Del Valle Verde Corp. while the company’s processing plant was suspended by Costa Rica for organic production. Lawmakers concluded that Valle Verde’s pineapple operations did not meet organic standards. The committee’s report noted that Luis Barrantes Quesada, Valle Verde chief executive officer, repeatedly refused to respond to their questions. The committee asked prosecutors to investigate whether organics certifier Humberto Gonzalez Guerrero, Barrantes and others committed perjury and other offenses. 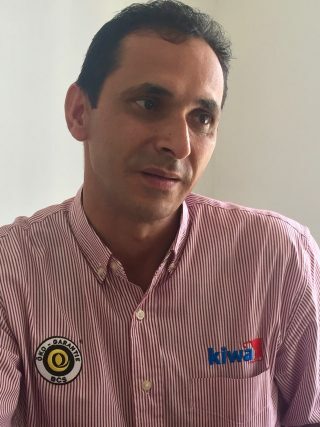 Gonzalez, speaking for Kiwa, and Barrantes deny the accusations, as does Cavallini, who stepped down as minister of agriculture in May when a new administration took office. Farmers selling pineapples certified as organic receive about twice the amount they can charge for conventionally grown fruit. Growing fruit with chemicals is cheaper and easier, and reduces risks of crop loss due to disease and insect infestations. The lawmakers called on Costa Rica’s Ministry of Agriculture to stop allowing Primus and Kiwa to certify organic operations in their country. Executives at Primus AuditingOps’ Santa Maria, California, headquarters have not responded to repeated requests for comment. In the United States, the Cornucopia Institute, a nonprofit watchdog organization, blames USDA corruption and negligence not only for an influx of fake-organic imports but for violations by domestic milk and egg producers. The Organic Trade Association, the main U.S. organic industry group, recently announced an anti-fraud initiative. Under the pilot project, organics companies will trace individual ingredients through the supply chain, using anti-fraud guidelines recommended by an association task force. The New York Times, MSN, USA Today, Mic and others have published our reporting. Sign up for our email alerts to help you avoid mistakes. Join the conversation, protect your wallet and share your stories with NerdWallet’s investigative team on Facebook.